Oil Absorbent Pads are an easy-to-access product that is perfect for any work station, warehouse, facility or maintenance area. Constructed in small, 15" x 18" pieces, these pads can be quickly grabbed to wipe down machinery, cars, tools, equipment or small spills. Their superior strength and durability has made them a reliable option for emergency spill response or day-to-day operations around your site. 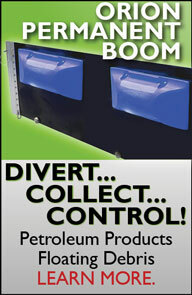 Spill pads are typically sold in quantities of either 100 or 200 pads, making them ideal for small or large spill requirements. View Three Layer Absorbent Pads and Rolls.